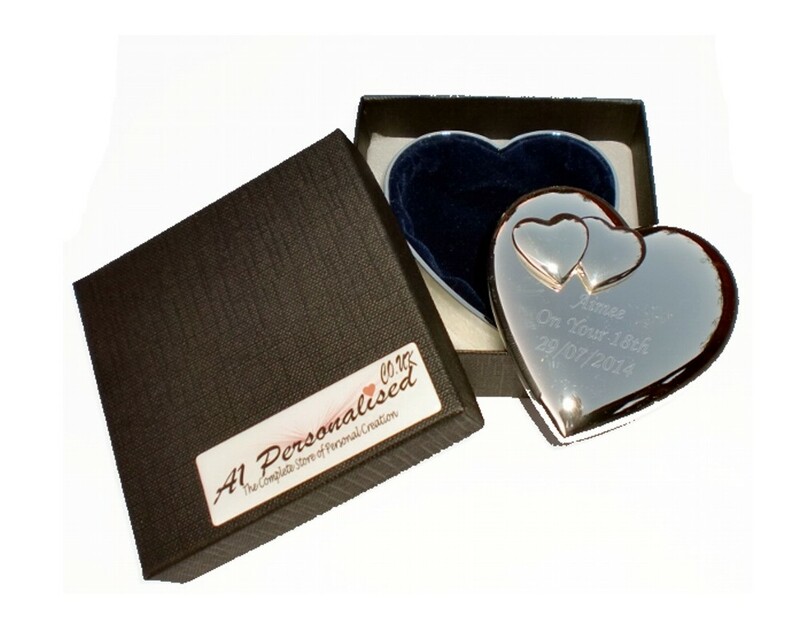 A beautiful engraved silver plated heart trinket box with double hearts embellishment. A perfect unique gift for your Wedding party, Bridesmaids, Mother of the Bride/Groom, Maid/Matron of Honour. For Birthday's, Mother's day, Valentines day, Anniversary...it's endless!